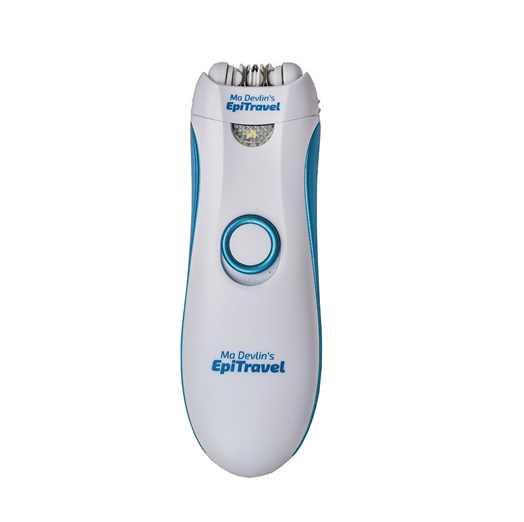 Ma Devlin’s Epi Travel Slim Epilator Compact 9 slices of tweezers. This is an elegant compact epilator that removes hair from the root from delicate areas like the upper lip, chin, cheek area bikini line and underarms. This is a compact epilator that removes hair from the root from delicate areas like the upper lip, chin, cheek area bikini line and underarms. Removing hair from the roots up to 6 weeks. It is also great for touch ups on the legs. The Ma Devlin’s narrow strip of rotating tweezers gives gentle removal of hair. It is battery operated and comes complete with a brush for easy cleaning. Requires 2xAA batteries.